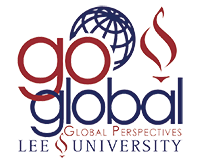 The Global Perspectives office is always willing to come speak with students about the Global Perspectives Requirement. If you would like a representative from our office to come and speak with your class or organization, please email us at gperspectives@leeuniversity.edu with your class time, preferred date, and class or organization name (i.e. Gateway, Softball, etc.). Additionally, Lee has partnerships with a number of organizations and universities where students are eligible to study. A complete listing of the collaborative programs can be found here. If you would like to be notified when a representative from one of these programs is coming for a campus visit, please email us at gperspectives@leeuniversity.edu with the name of the program of interest. We will contact you for additional information closer to the date of the visit.